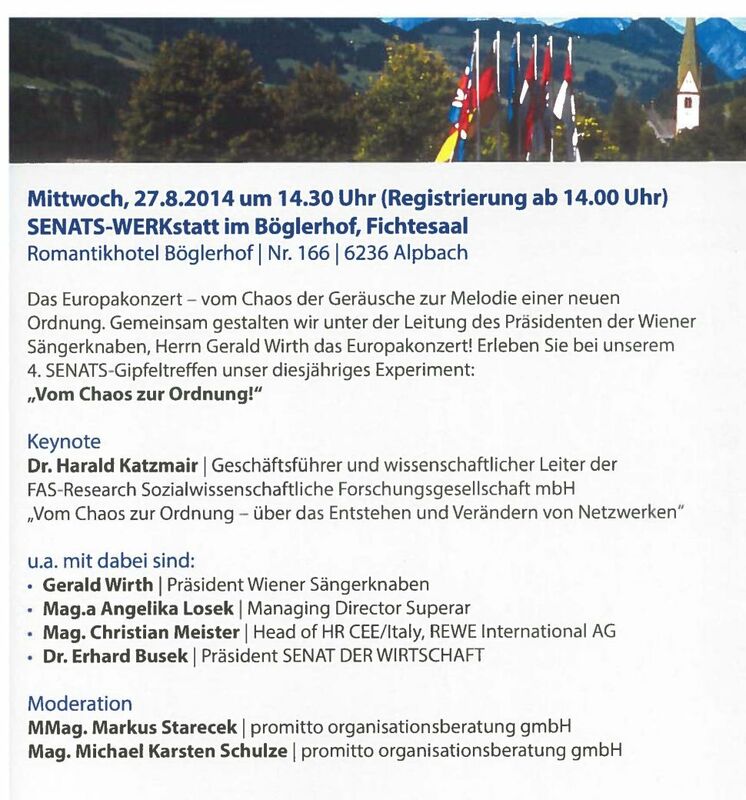 In the context of the European Forum Alpbach 2014 the Senat der Wirtschaft organizes an experiment “Concert of Europe”. Keynote “From Chaos to Order” by Harald Katzmair. The European Forum Alpbach (EFA) is an interdisciplinary platform for science, politics, business and culture. We promote the creation of a democratic society that is ready for the future. Our events provide momentum for the development of European integration.